University of Hawai’i file photo. The State of Hawai’i Department of Transportation and the County of Hawai’i Department of Public Works have announced the following temporary road and lane closures from Tuesday, May 30, through Friday, June 2, 2017. There will be no daytime lane closures on Monday, May 29, in observance of Memorial Day. 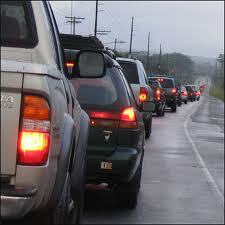 Lane closure schedules may change at any time without further notice. All projects are weather permitting. For information about statewide closures, go online. HAKALAU Alternating lane closures on Hawai‘i Belt Road (Route 19) in both directions at Mile Marker 16 in the vicinity of Hakalau on Tuesday, May 30, through Friday, June 2, from 8:30 a.m. to 3 p.m., for bridge rehabilitation work on Umauma Bridge. Travel speed on Umauma Bridge is reduced to 20-mph. OOKALA Alternating single lane closures on Hawaii Belt Road (Route 19) in both directions between Mile Marker 31 and Mile Marker 32 on Tuesday, May 30, through Friday, June 2, from 8:30 a.m. to 5:30 p.m., for road pavement reconstruction. 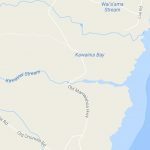 KEALAKAHA Alternating single lane closures on Hawaii Belt Road (Route 19) in both directions at Mile Marker 32 in the vicinity of Ookala on Tuesday, May 30, through Friday, June 2, from 8:30 a.m. to 3 p.m., for bridge deck work. UPPER KAUMANA Alternating single lane closures on Saddle Road (Route 200) in both directions between Mile Marker 8 and Mile Marker 12 in the vicinity of upper Kaumana on Tuesday, May 30, through Friday, June 2, from 6 a.m. to 6 p.m., daily, for grading of the new Daniel K. Inouye Highway, East Side alignment. Weekend work may take place as needed.